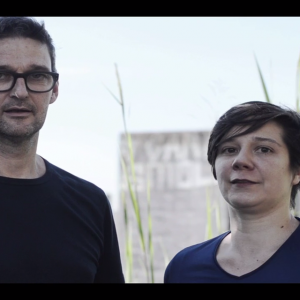 The artistic duo Sounding Situations is formed by Milena Kipfmüller and Klaus Janek and was founded in 2014. Their work is a careful composition of staged situation in urban spaces and live music placed theatrically in what can be discovered in loco. Often radio, transducers and mobile loudspeakers are installed or move with the audience through a theatre, through cities, join a walk or a longer hike through a metropolis till a mountain valley. A focus of their work lies in the live processing of original musical material, field recordings and language sounds, that, interconnected, change their original definition and become a net of sounding meanings. By the use of compositional and performative strategies the perception of the audience is shifted between the reality and a fictive acoustic imaginary. Sounding Situations works as a collective and follows an ongoing artistic research developing “performative instruments” under the perspective of their philosophical, conceptual and artistic production processes. Therefore the work looks always for a strong relation to the environment in its material, acoustic and political context. Collaborations range from musicians to choreographers, visual artists, authors and theatre and film directors. The longterm ongoing work in residencies and commissions brought the duo to create various adventurous performative situations and to give academic lectures in universities in Canada, Brasil, Germany, Israel and Rwanda.